Happy Vegan Thanksgiving to those of you who live in the United States. I’m thankful for many things today, one of them being all of you! I really only love this holiday for one reason, it means that I can start decorating for Christmas at the end of day! I love Christmas decorations, carols, music, lights, and holiday inspired food. 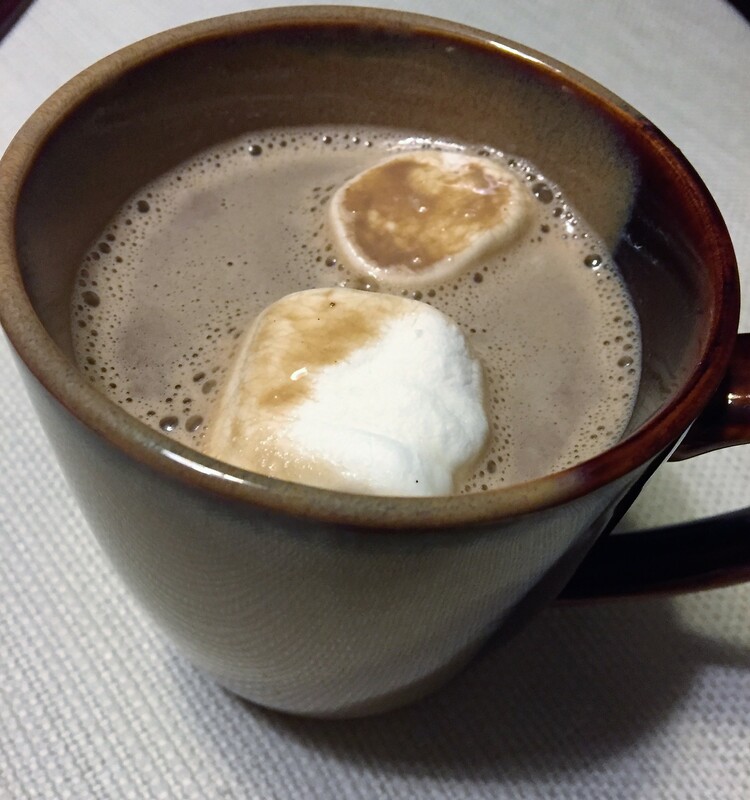 When it gets chilly, I start craving a nightly cup of homemade hot chocolate. You are in for a treat today because I’ll be sharing a recipe of mine along with a product review. It’s a holiday gift from me to you! As I decorate the tree tonight with my husband as my son is nestled in bed (no one wants a toddler’s help decorating), I’ll have a mug of piping hot chocolate in my hand adorned with a white fluffy vegan marshmallow or two….or three! Please enjoy this recipe that I’ve adapted from my mostly abandoned personal blog from a Vegan MoFo post from 2012. Place all of the ingredients into aVitamix, or high powered blender and blend for 4 minutes or until steam comes out of the top of the lid. Check for desired heat level and blend more or pour into a mug and enjoy! You can also make this on the stove, but you will need to whisk like crazy to break up the peanut butter and incorporate into the hot chocolate. This tastes exactly like I remember marshmallows tasting. I want to make a bonfire and make s’mores and sing camp songs! They are fluffy and delicious. They can be eaten straight out of the bag or in your favorite warm beverage. They are made will all natural ingredients. All things that you can pronounce and no corn sryup: Tapioca Syrup, Cane Sugar, Filtered Water, Tapioca Starch, Carrageenan, Soy Protein, Natural Vanilla Flavor. (See cons regarding one of the ingredients). They are free from most of the common allergens: peanut, tree nut, milk, egg, wheat, fish, shellfish, and corn. 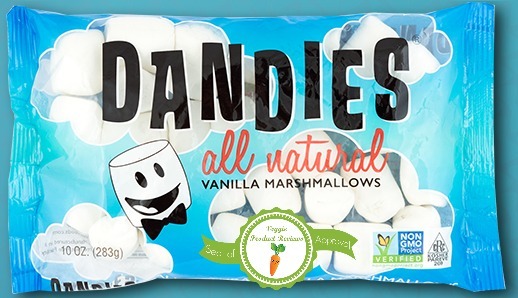 They are sold as large and small marshmallows. They contain carrageenan. This doesn’t bother me, but some people wish to avoid this ingredient. They are not soy free, for those of you who wish to avoid soy. I’ve only seen them at Whole Foods and our Co-op locally. I hope they become more widely available. If you can’t find them in stores, you can buy them online. They seem to range from $4.50-$5.50. This is a lot more than gelatin containing marshmallows.